Megan Sloan, the former Holmes Park teacher that was arrested in May of 2017 for bringing heroin into her classroom, has been arrested again. A story from News On 6 says that Police were alerted to a local QuikTrip when man was “overheard on the phone saying ‘I got a gram on me right now,'” the report says. That man turned out to be Sloan’s boyfriend. According to reports, Police found syringes in his shirt. Police who responded to the call also found Sloan leaving the bathroom with loaded syringe left behind in the stall, wrapped in toilet paper. Sloan was arrested on complaints of possession of a Schedule II controlled drug, possession of drug paraphernalia and destroying evidence after former conviction of a felony. Sloan had been handed a deferred sentence in her last conviction. It meant that so long as she stayed out of trouble, she would eventually have the felony drug conviction removed from her record. 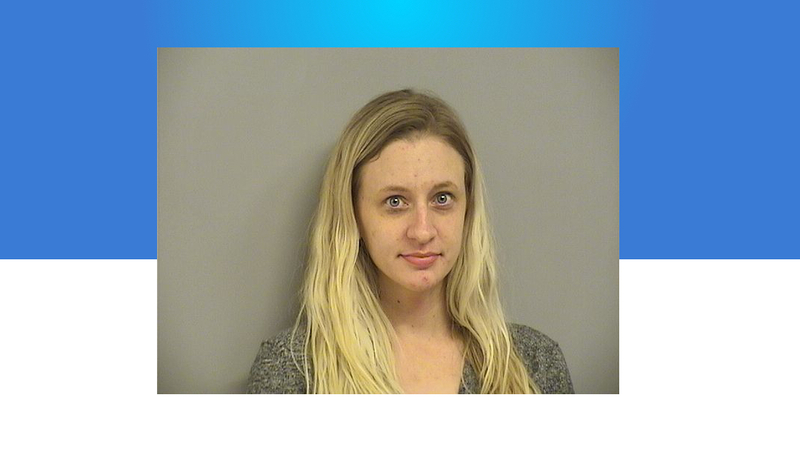 Sapulpa Police told Sapulpa Times in a phone call on Thursday morning that the authorities may file to have that sentence commuted to a suspended sentence, through which she still would likely not face jail time, but would have a felony conviction on her record.